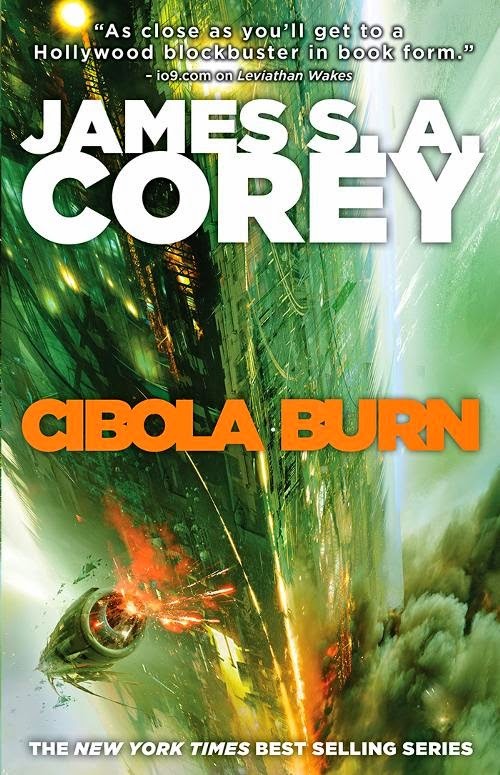 In the aftermath of the announcement of SyFy's adaptation of The Expanse, interest in the series has reached fever pitch in recent weeks—interest which Cibola Burn is apt to satisfy. 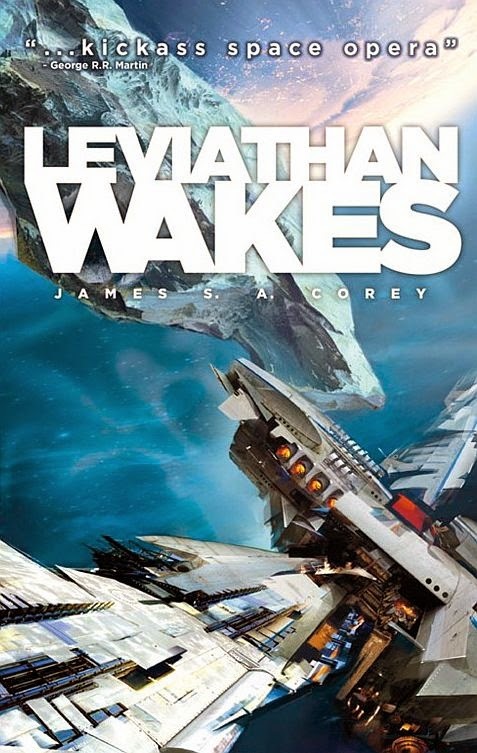 It's another solid installment of the ongoing blockbuster space opera, but the most focused narrative in the saga so far lacks, alas, the scope of the other stories James S. A. Corey has told, and character-wise, it's a mixed bag at best. The embiggening of The Expanse intimated in Abaddon's Gate does seem set to continue in Cibola Burn, which begins several years since the revelation of the Ring: a great alien gate linking the Sol system to an expanse of space formerly far beyond people's reach. The OPA is holding it down at the moment, supposedly so that surveys into the area's safety can be conducted without disruption, but precious few forces have faith in its explanation, particularly given that a bunch of Belters have already settled the nearest habitable planet—the same planet that representatives of the UN have been commissioned to colonise. That's where things start to fall apart. The new sun was a faint dot of yellow-white light, not all that different from Sol when viewed from the Ring sitting just outside Uranus' orbit. It had five rocky inner planets, one massive gas giant, and a number of dwarf planets in orbits even farther out than the Ring. The fourth inner planet, sitting smack dab in the middle of the Goldilocks Zone, was Ilus. New Terra. Bering Survey Four. RCE charter 24771912-F23. Whatever you wanted to call it. But lest we forget our history lessons, where humanity goes, conflict follows, and it's no different on Ilus. There are tensions between the Belter settlers and the scientists and soldiers of RCE before the latter party have even arrived. Believing they're about to be evicted—as well they will be if Security Chief Murtry, a cold-blooded monster of a man, has his way—and remember: he represents Earth—a ragtag resistance arises amongst the planet's established inhabitants. Basia, one of the three new perspectives presented in Cibola Burn, is a displaced family man ready to fight for what's right, however his actions are viewed by others as atrocities. Eventually, he comes to question them himself, particularly the part he plays in blowing up the first RCE shuttle to touch down on terra firma, killing half of its passengers in the process. In retaliation, the rest—massed by would-be martyr Murtry—slaughter some suspicious settlers. In no time at all, Ilus is as a powder keg about to blow, and to make matters worse, everyone's watching. To wit, what happens here has to matter, so the various powers in play promise a mediator; someone so self-righteous and set in his ways that he may be able to defuse the spiralling situation somehow. The detective's spectre proves particularly pivotal in Cibola Burn's electrifying finale, such that it's surprising his presence is so underplayed in the remainder—and I'm afraid most of the narrative's returning characters are similarly short-changed. 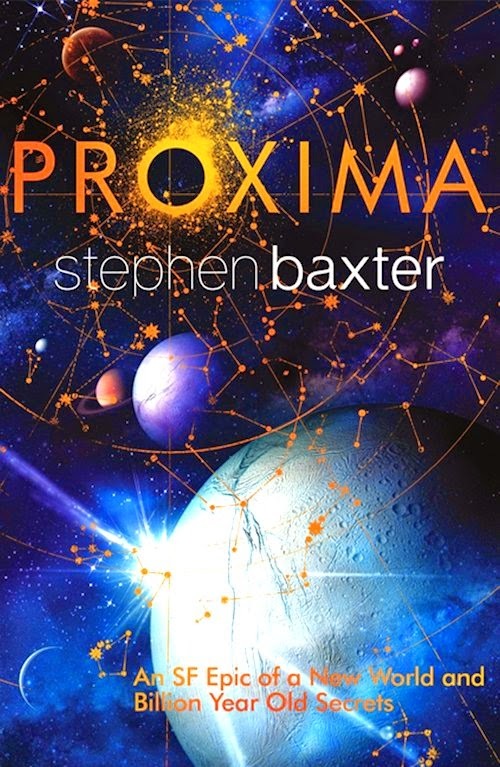 The crew of the Rocinante, up to and including Holden, are reduced to little more than roles—the better to pave the way, presumably, for the problematic new perspectives Corey is determined to develop. 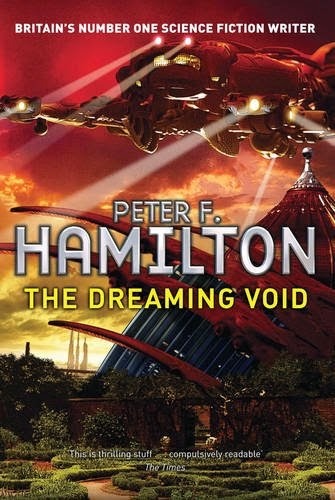 Basia, at least, has an active part in the narrative, but in addition to him, we have Havelock—a sort of soldier of fortune on another of the ships in orbit around Ilus—and Elvi, a scientist who survives the shuttle crash at the start of the narrative, and sets about studying this strange, alien place. The need for these perspectives is revealed eventually, and there is indeed a need, but for the first half of the whole they serve no particular purpose. Instead, Corey lumbers them with lacklustre subplots: Havelock trains up some surplus engineers in the ways of war—because there's nothing better for him to do, in truth—whilst Elvi nurses a crush on Holden that has her weak at the knees whenever they meet; a distraction which I dare say rubbed me the wrong way, though your mileage may vary. Both characters come into their own around the midpoint of the novel, but largely because of all this needless narrative, Cibola Burn is singularly slow to start. The stinger is in the middle, when the previously peaceful planet comes alive, and everything goes in orbit goes to pot—and the action, when it happens, is spectacular. There are explosive set-pieces in space; and on Ilus itself, an unnatural catastrophe gives the colourless cast a kick up the arse. There is, to be clear, half of a hell of a novel here, with all the wit and wonder that's made The Expanse such a pleasure in the past, but the most remarkable aspect of the other half is all that is lacks. Strange to think that Holden and his will be seen onscreen in all probability before the launch of the next novel, Nemesis Games. Safe bet I'll be there, in both cases, but not because of Cibola Burn, which is easily the weakest of Corey's space operas to date.